With a starting price of $12,800, the 2015 Nissan Versa retains its status as the least-expensive new car you can buy. Beyond an affordable price tag, the Versa Sedan and Versa Note hatchback boast good fuel economy and a roomy interior, but not the driving dynamics of rivals like the Honda Fit, Ford Fiesta or Chevrolet Sonic. Nissan versa, 2015, base model. I have put approximately 65, 000 miles on my car and it is extremely jumpy now compared to when I first purchased it. The motor mounts are slowly wearing out. The suspension seems like it is breaking down as it is slowly getting rougher and rougher to drive. The seats are generally comfortable but on long trips I get back cramps because the seats kind of curve forward at the top and sit you in an awkward position. Everything in my car rattles. I like the paint job and style of the car. I like that it is a base model and does not have power locks or windows, but it is inconvenient that there is not a button to pop the trunk while you are in the car. You have to use your key to unlock it. I would buy my car again for the value and Nissan dealers are nice and do not ask many questions when you have them service your vehicle. Comfy, cozy car. Perfect for dog and nap lovers. Car is two years old, bought used with less than 10k miles, this car has lasted through my travels to Florida, Norfolk and nags head back to Cincinnati. Great little car. 40 mpg, even with manual crank windows, the car is still pretty cute. Not many problems, just normal wear and tear on tires and maintenance. Performs the way I would have expected it to, very reliable car. I have taken naps in the front seat and the back in-between classes and driving turns- so it is very cozy. As stated before, I have the manual interior versa- and no, not a hatchback. Was 4k less than the automatic interior Nissan versa next to it with twice as many miles but same price, so now I have my practically brand new Nissan. I love it, not very loud when driving, and being in Ohio the little heaters works fabulously. 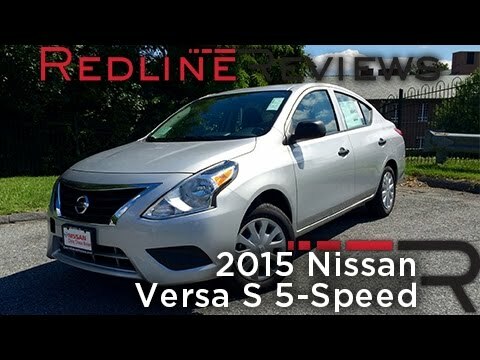 Pros and cons of Nissan versa. I love my Nissan versa. There were a few reasons why I chose this car. First, I chose it because it has some speed to it which was very important to me. Also, it has a small exterior which allows me to maneuver easily, but a very spacious interior. It is a very comfortable car for both me and my passengers. However, my versa is a “model car” so there are still roll up windows and no automatic locks which is very inconvenient. Also, the speakers sound like there is a short somewhere and music is constantly going in and out. Another big problem is driving in the snow with this little thing! It got me through the winter, but barely. My friend has the same exact car as me and experiences the sameness issues with the speaker and the durability of the car in the snow. Overall, I love my versa!